JBRND’s unique Pivot Doors are the perfect lightweight, customizable, easy-to-install door solution for most aircraft. Installation is a breeze with our turn-key style door and drill-to-match frame. 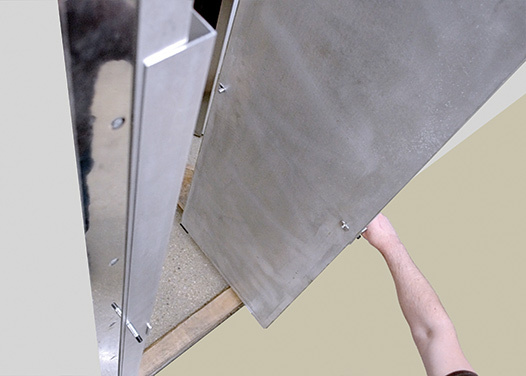 Minimal screws and inserts are required due to our easy-install design. 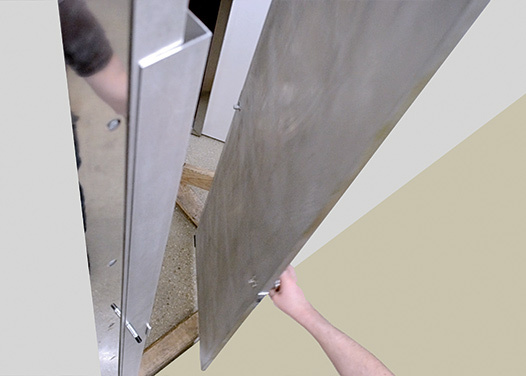 Our Pivot Doors can be made in any size–for any bulkhead. These doors are space-efficient and customizable to open left or right. JBRND Pivot Doors are a unique alternative to a traditional swinging door. They pivot while opening nearly eliminating the usual hallway intrusion of common doors. With less than five inch encroach on the corridor, JBRND Pivot Doors allow maximum egress for your passengers. JBRND Pivot Doors are available in aluminum or fiberglass honeycomb panels. JBRND Pivot Doors can also feature a unique locking mechanism for privacy–this includes a manual safety override. An additional design success is the inclusion of a magnetic stabilization control. 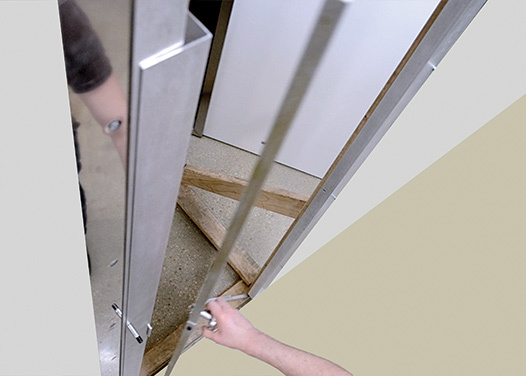 No matter the open or closed position of the door, the magnetic stabilization feature holds the door in a steady position to prevent shaking. 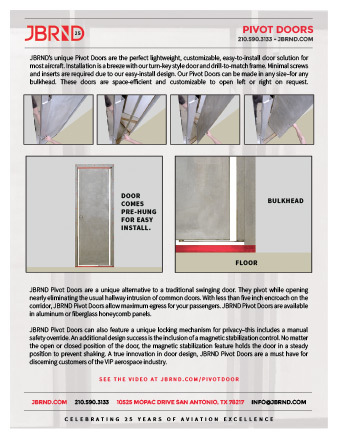 Get the JBRND brochure for our pivot doors. The brochure is one page, in PDF format, ready for printing. If you are interested in any other JBRND brochures, make sure to visit our Downloads Section, where there are many others available. As always, just get in touch if you have questions. We encourage you to pivot to JBRND for your project. Get in touch with us today to get more information by clicking the button below.